Want a free ringtone? Audiko.net! 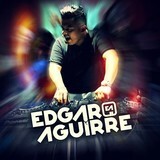 We propose to download a free Edgar Aguirre Offcial ringtones for your iPhone or mobile. Specify your favorite moment from your favorite ballad - Booyah Vs Spaceman, Ping Pong Vs Bad FREE DOWN, Afrojack & Martin Garrix - Turn Up The Speakers (Edgar Aguir, or any other track. Depending on a phone model, you can obtain your tone both in the MP3 and m4a formats, compatible with both mobile phones and iPhones. Just select a track, and choose free Edgar Aguirre Offcial ringtones download option.